What are the Top Event Registration Strategies? The last five years of event management has brought about a lot of interesting discussions. One of the most frequent and heated topics has always been about how much information do you give potential customers and how many steps do they need to complete in order to finish the event registration process? My argument has always been that it will depend on the type of website you have and the potential customers you are marketing to. There are two polar schools of thought that are analogous to the experience of going to a golf course verses going to an amusement park. The golf course customer, or golfer, has specific intentions for coming to the golf course. The golfer can look through products at the pro shop and make a purchase, work on his swing mechanics by hitting a bucket of balls, do some putting on the practice green or play a round of golf. As a customer, the golfer is always catered to and the sales pitches are never unrelated. The pro shop is helpful and directive, but never pushy. In general, the golf course tries to establish a relationship that will be lucrative over a lifetime.The putting greens are available to anyone who comes to the course, even if you’re not a paying customer. You can even hire a caddy to give you personalized attention throughout your round of golf to watch your swing and suggest strategies for playing the course. Managing your events and registration process similar to a golf course is done by making it as simple and specific as possible. The event description should be rather simplistic and easy to understand but offer enough information for your customers to understand the event and become comfortable with registering. The event process should be as few steps as possible and as few pages as possible. This does not mean that you have to avoid any up-selling , after all don’t they offer a cart with your round of golf? The important thing is to consider who your potential customers are and what will serve them best. What kind of event registration process will meet their expectations and what will keep them coming back? If you have customers that are busy, but are familiar with your website and products, and that will pay extra for convenience, then make the event registration process really easy. Don’t be afraid to give them one up-selling opportunity but the option must be really easily understood and easily accepted or rejected so they can make a quick decision and move on. Think back to the last time you went to an amusement park, did you have a specific plan for the entire day or did you more or less wander throughout the park? You probably planned what time of day you wanted to go on the rides that get you wet and the ones you wanted to go on with and without kids, etc. You were probably drawn in by a barker to toss a few baseballs or shoot a few targets to win someone special a giant teddy bear. You may have even gotten lost in the amusement park and had to ask for directions to get out! After you pushed your fun equilibrium to the limit and emptied your wallet, you swear you’ll never go back. This is a perfect example of an add-on registration strategy that presents multiple add-on opportunities to potential customers, encouraging them to increase the final transaction amount. This strategy works best for browsing customers who are aware of your products and services but are compelled to purchase because of a promotional opportunity. If you’ve ever searched for a job on one of the major job websites then you know what I mean. Just about every other step is an offer for an online class or degree. This approach can be very damaging to a relationship and can even discourage purchases (immediate and future), but the interaction value may be maximized. Depending on how your website is designed, who your customers are and their intentions (focused or browsers) you should consider the event registration process you are taking them through in order to join your events. Make the registration process as easy as possible if you want to build a relationship with your customers. If you’re never going to interact with your customers again then an add-on event registration process may be the best strategy. 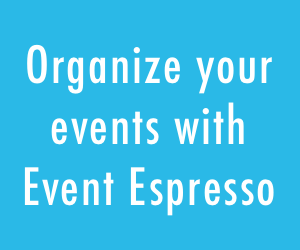 You can get the most out of your event registration process with Event Espresso (WordPress events plugin). 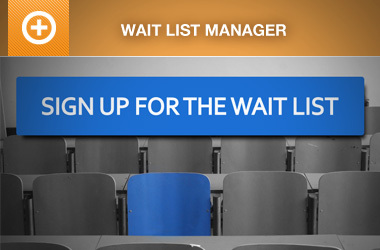 The focused event registration strategy is accomplished by keeping your event titles simple, your event descriptions short, the information required to register is kept to a minimum, and the event plugin can even be configured to complete the registration process before receiving payment which affords you the opportunity to give the potential customer individual attention to finish the registration process if they happen to abandon it. If you want to pursue an add-on strategy then give the potential customer as many registration options as you can imagine. Add information to products and other events in the description area of these events and include that same information in the confirmation emails. Eventually, Event Espresso will include a shopping cart option that will allow you to add related items to your events to try and up-sell the customer. Which event registration strategy do you use or have you ever really thought about it? Tell me why you think your strategy does or doesn’t work. I use Meetup.com for event registration. unfortunately Meetup.com does not allow the organizers access to members email even though we pay a monthly fee to Meetup.com. For this reason alone I am seeking a better solution for managing events and members where I have control and access to the email. 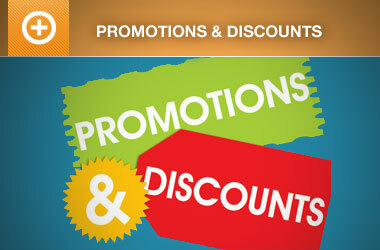 That way I can create specific lists and tiers for communicating to the members and offer special prices and discounts to members who are more active than others, etc.